Dr. Jigar Shah is a Unit Director for Unit 38 at GBMC. 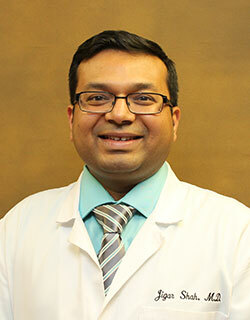 Dr. Shah went to medical school in India and completed his Residency in Internal Medicine in Brooklyn, New York. He strives to provide compassionate and quality care to all of his patients. He also loves traveling and reading.